Lot Size: 0.15 Acres / 6728 Sq. Ft. Directions:1-405 head northwest on 2-405 N. 0.2 miles use the right 2 lanes to take the exit toward La Cienega merge onto La Cienega then turn right on Slauson. Go straight to Angeles Vista and make a left. Go straight to Harcourt and make a right. From Crenshaw make a right on Angeles Vista go straight to Harcourt and make a left. SchoolsClick map icons below to view information for schools near 5740 S Harcourt Avenue Windsor Hills, CA 90043. Listing provided courtesy of Lanny Ross, Westside Realty Inv. Inc..
Home for sale at 5740 S Harcourt Avenue Windsor Hills, CA 90043. Description: The home at 5740 S Harcourt Avenue Windsor Hills, CA 90043 with the MLS Number 18388806 is currently listed at $815,000 and has been on the Windsor Hills market for 205 days. 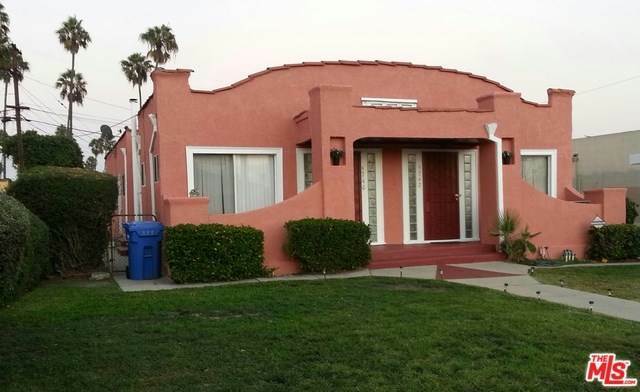 You are viewing the MLS property details of the home for sale at 5740 S Harcourt Avenue Windsor Hills, CA 90043, which includes 0 bedrooms, 0 bathrooms and has approximately 0 sq.ft. of living area.